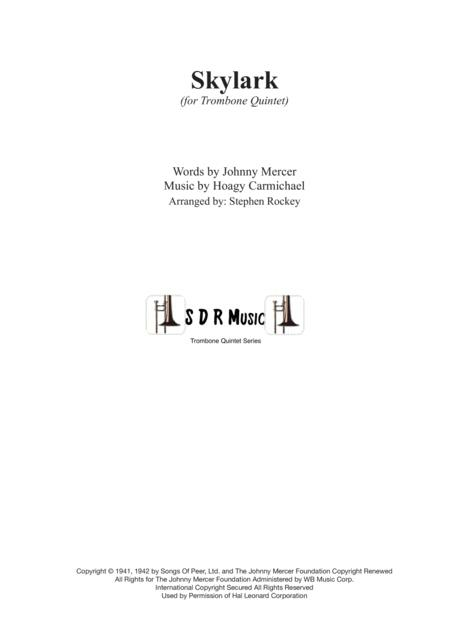 Skylark by Johnny Mercer for Trombone Quintet, 1,2,3 and 4 in Bass Clef and Bb Treble, Bass Trombone in Bass Clef and alternative part for Tuba in Eb Treble Clef. 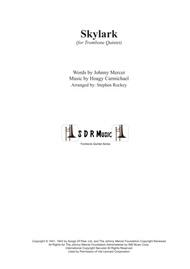 A close harmony version with all players getting a chance at a solo. Great for fun, concerts, recitals etc.